Home ⁄ Posts tagged "scapular wall slides"
I should note that "exhale" would be a fourth cue, but it doesn't being with a "R" and therefore would've ruined the good blog title. That said, adding an exhale can help to establish better rib position and enable the individual to "feel" the serratus anterior working a bit more. 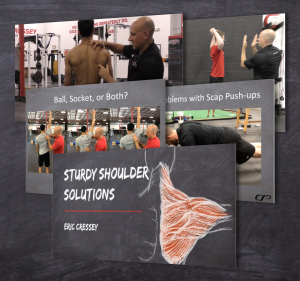 If you're looking for more upper extremity assessment and training insights - particularly with respect to serratus anterior - be sure to check out Sturdy Shoulder Solutions. Here's this week's list of random tips to make you more awesome, in collaboration with Cressey Performance coach Greg Robins. 1. Optimize your strength training program's warm-up sets. Too often, I see people make the mistake of moving a ton of weight before they reach their top sets for that day. Many strength training programs are based on hitting a certain “top set” or sets in a given lift for that day. While this number may be a good distance from the first weight a person touches that day, it is important that you work to this set in a fashion that has you prepared to attack the weight, but not exhausted to a point that you cannot give that weight a true effort. “Treat the light weights heavy and the heavy weights light.” Move everything fast, be methodical in your approach, take advantage of every set as repetitions in good form. By doing so, you will set up for successful top sets, prime your CNS to deliver more powerful, coordinated efforts, and be more confident under heavy loads. Keep your weight jumps consistent. How many pounds each jump should be will depend on how dictate how many warm-up sets you’ll take on the way from A to B. Just make sure to keep the jumps consistent, 10, 20, 30lbs, etc. Just because the top sets call for multiple reps doesn’t mean the sets leading up to them need to be the same. I often take singles and doubles at the heavy weights that land near my top sets, and recommend you do the same. I advocate any additional volume (work done) you need to add be done via drop down sets, or via supplemental lifts. You'll notice that the sets that "count" toward my working total follow the 90% rule that Eric outlined HERE. You will be more successful with your fat loss dieting when you understand a simple concept: the harder you train, the hungrier you get. The most important thing in losing fat is, has been, and will continue to be your nutrition. Your strength training program should be the priority in training when dieting. You want to maintain as much lean mass as possible, and what made the muscle (resistance training) is what’s going to keep it on you. However, you can’t just continue to strength train, add more conditioning, and eat less. It just doesn’t add up. Either you’re going to fail on the diet or get super weak. Neither of those sounds good to me. So what’s the solution? Lower the volume as you lower the calories. Whether that comes in the way of shorter strength training workouts (focus on the top sets of big lifts and keep the accessory work limited), or you do less conditioning, you have to do less somewhere. People are really into metabolic resistance training protocols nowadays, but in reality, all training is metabolic; your diet needs to come first, and these programs are just basic better management of total work done. Base your training around your diet, and as you eat less, do less. Pretty simple. 3. Make Kale Taste Better. Kale by itself does not taste good. Fortunately, I have a simple recipe to make a delicious dressing to spice it up. I must admit that I am not the originator of this, so thank you to the person who showed me the recipe! 4. Make all Reps Quality Ones When You’re a Beginner. When teaching a new athlete or client an exercise, trainers and coaches must understand the importance of using lighter loads. From a safety and development standpoint, it just makes sense. Moreover, a novice lifter can make gains from loads far below their estimated one-rep maximum. In order to achieve technical proficiency with the exercise, make sure that you are also keeping the rep ranges low - even when the weights are light. While the person in question may very well be able to move the given load for 12 reps (as an example), you are better off splitting that into 3 sets of 4 reps. Even if that means they are doing 12 sets of 4 instead of 4 sets of 12 overall. Keep the rest a bit shorter, get quality reps, and don’t set them up to fail. I speak a lot to our staff about the importance of training scapular upward rotation to prevent and correct upper extremity problems (especially shoulders) in our clients, and one of my most prominent points is to consider not just "front to back" shoulder balance, but also "top to bottom." This point was verified yet again by research from the Musculoskeletal Research Center at LaTrobe University in Australia. Investigators found that "The major difference between groups was that the shoulder pain group displayed a significant downward rotation of the scapula in almost all shoulder positions. There were no differences between the two groups for training factors, range of motion, or in clinical test results." Below are a few exercises we regularly include in our warm-ups to address these issues. Forearm wall slides at 135 degrees stops short of full upward rotation and gives us a chance to train the lower trapezius in its line of pull. Wall slides with overhead shrug and lift-off gets us to near full upward rotation of the scapula and recruits the upper trapezius more. Remember, while upper trapezius recruitment has gotten a bad rap, the upper traps are actually tremendously important, as they elevate the scapula and directly oppose the depressive pull of the latissimus dorsi, which is heavily overrecruited in most folks. As a heads-up, I generally teach this with the hands a bit closer together throughout the movement. The upper and lower traps work with serratus anterior to get the scapula upwardly rotated (serratus recruitment is already optimized because we are slightly protracted and above 90 degrees of humeral elevation). Summarily, remember the importance of scapular upward rotation when you see arm care programs where all the exercises are done with the arms at the sides. Assuming folks can get there pain-free, get the arms up and start training upward rotation functionally. Q: How does one find a balance between "technique/form/corrective/sissy work" and lifting heavy weights to make gains in a strength training program? I see both extremes, but am curious about what affects the balance between the two. A: This is actually a great question, and I am actually surprised that I’ve never answered it before in over five years of writing on this site. For me, it all comes down to five factors in each athlete/client: strength training experience, injury history, goals, time to commit, and training session structure. In someone with limited strength and conditioning, more of the session is going to be devoted to technique work on entry level strength exercises. You don’t have to worry as much about lifting really heavy weights simply because beginners can make appreciable strength gains with as little as 40% of 1-rep max on exercises. The more advanced an athlete becomes, the less time you spend on technique work, and the more work you do with strength development and corrective exercise. Eventually, when an athlete has a lot of strength, you have to consider whether all the time and effort that would go in to adding 20 pounds to his squat would actually be better spent elsewhere – whether it’s with corrective work, power training at a lower percentage of 1-rep max, or in introducing new exercises. Effectively, it always comes down to finding someone’s biggest window of adaptation and exploiting it. That's one reason why I tried to make the Show and Go program so versatile by including 2x/week, 3x/week, and 4x/week training options alongside five supplemental metabolic training protocols. If we are talking about someone with a lengthy injury history, though, the rules get thrown out the window. You are not only spending more time with corrective exercise, but also refining your strength exercise selection to work with this individual – so it might mean that you have to do more technique work to add in new strength exercises, regardless of that individual’s training experience. One’s training goals impact the corrective/heavy lifting balance as well. If I’m training someone who simply wants to improve quality of life or stay healthy in athletics, I can be a bit more cautious on the heavy lifting side of things and hold back. However, if we are talking about someone who was put on this planet to get strong and wants to be the most badass guy in the gym, we have to lift some heavy weights to make that happen. So, while the second scenario in many cases requires more corrective exercise, we’re talking about a population that is willing to take more risks in training to get to a goal that might not be at all interesting to a more “low key” population. This does not, however, mean it’s okay to let strength-oriented people lift with atrocious technique. Doing so makes you an unethical clown who is more likely to get sued – not a professional. Time to commit is another important consideration that many folks overlook. 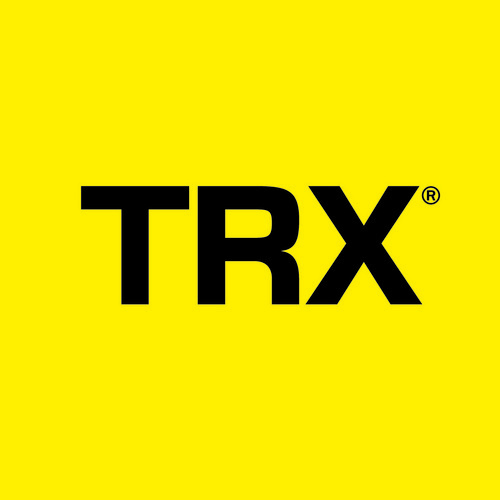 Very simply, if someone can only get in two exercise sessions a week, I’m not going to be spending a ton of time on corrective exercise with them. You’re much more likely to die from being fat and having diabetes than you are from having a cranky rotator cuff. I’ll gladly give these folks additional corrective exercise that they can do during their busy schedules (which are never as busy as they claim), but I won’t coddle them when they need to move. There are two final points I’d like to make. First, in my experience, many experienced lifters/athletes have responded well to separating the heavy lifting from the corrective stuff. When they show up to train, they may be really fired up and ready to go – so the last thing they’ll want is to do some wall slides or spend five minutes getting some length in their rectus femoris. These folks would be wise to do just enough warm-up work to prepare for their heavy training, and then add in some separate sessions to address movement inefficiencies – whether we’re talking additional foam rolling, massage, mobility drills, rotator cuff work, or something else. They can also add it in on the end of the session after the hardest work is done. Second, for many folks, maximal strength can be tremendously corrective. Increasing strength in one area can reduce excessive stress in another area of the body. An example of this would be using the box squat or deadlift to learn proper hip hinging techniques, which would increase posterior chain contribution and take some of the burden off the quads in someone with anterior knee pain. Likewise, all other factors held constant, a stronger muscle is less likely to become degenerative. You can read more along these lines in two older newsletter of mine on the Law of Repetitive Motion: Parts 1 and Part 2. Obviously, there are many things to consider, but this should at least get you headed in the right direction in finding the right balance in your strength training program. As the voice-over on the video above notes, the scapular wall slide is an acceptable fit for just about any workout routine. The only exceptions would be those who have upper extremity pain with overhead motions (rotator cuff tears, etc.). 1. Don't let the head poke forward, as a forward head posture is simply a substitution for not retracting/depressing the scapulae or horizontally adducting the humerus. 2. Don't crank too aggressively on the shoulders; it should be a subtle stretch. And, it shouldn't be used with those (particularly overhead throwing athletes) who already have increased external rotation and, in turn, more anterior laxity. 3. Make sure to focus on pulling the shoulder blades down and back as the elbows are lowered. You shouldn't have movement of the humerus without movement of the scapula. For more shoulder mobility drills and the rationale for them, I'd encourage you to check out our Optimal Shoulder Performance DVD set. Sign-up Today for our FREE Newsletter and receive a detailed deadlift technique tutorial!